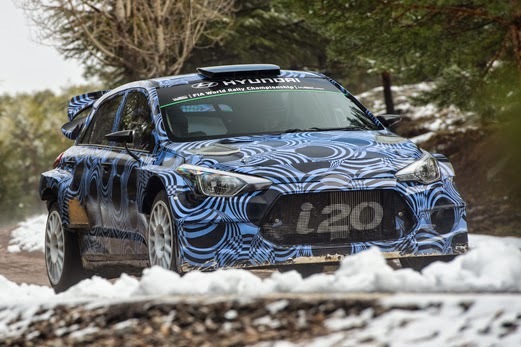 News this morning that the debut of the new generation Hyundai i20 World Rally Car has been delayed. Originally it had been hoped that we would see the car in action some time mid season, but this has been put off till next year. There’s nothing wrong with the car or its spec, it is simply down to a delay with FIA Homologation requirements. Apparently Hyundai is having to alter production plans for its new generation 3 and 5 door i20 due to its soaring public demand. Last year the company achieved record volumes of car sales in the UK and more records have been set in the first three months of this year! A series of upgrades will be introduced to the current Hyundai i20 WRCs in the remaining rallies of 2015 in a bid to help the team fight for podiums regularly in only its second season in the competitive World Rally Championship.